Although the weather may seem cold and dismal at the moment Spring is coming and warmer days are on their way! The winter storms with their high winds and driving rain may have taken their toll on your property but Spring gives us the opportunity to carry out the maintenance work necessary to ensure that our homes are not susceptible to damage during any Spring showers. 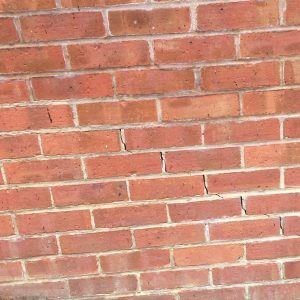 Crack Stitching – Perhaps the ice and snow has made signs of cracking in brickwork more visible around lintels or the tops of doors. 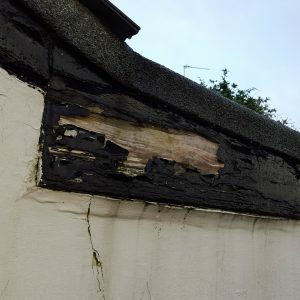 If cracks appear to be widening and there are also cracks appearing within your house, then it may be time to contact a Helifix approved surveyor so that he can assess whether Crack Stitching may be the solution to prevent any further movement. 2. Gardening – On Sunny days why not spend time in the garden and ensuring that any climbing plants haven’t taken hold and aren’t causing damage to brickwork? There are some great products which help stop rain penetration and improve thermal efficiency; cold walls mean cold buildings as heat escapes more readily. Over time salts may be deposited at the highest point of evaporation. 3. 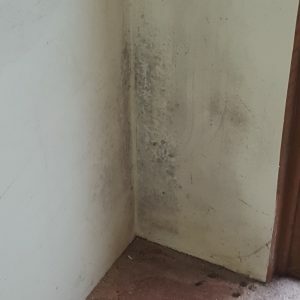 Damp-proof coursing – If you have noticed damp spots at skirting board level, rising up on ground floor rooms and they are persisting despite rooms being well ventilated then it may be worth contacting a specialist to check whether your property is suffering with Rising Damp. Many people choose the Spring to clean up and decorate and it would be better to have any treatment carried out to your property before you spend time and money on wall paper or paint. 4. Condensation– properties which have suffered with condensation may suffer with accompanying mould growths. Now is the time to consider installing extractor fans within kitchens and bathrooms. As moisture moves around within properties through air circulation it may be worth installing a PIV (Positive Input Ventilation) unit. This can help ensure any excessive moisture levels throughout the property are adequately addressed. 5. Unblocking Gutters – If you weren’t able to clear your gutters out between Autumn and Winter then you may have noticed water pouring over the edge of the guttering when it rains. Now is the time to take a look and to remove and dirt or debris as water pouring down the side of the house can cause penetrating damp. 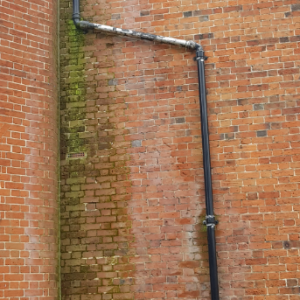 If you are starting to see signs of penetrating damp from a blocked gutter, inside the property, then its time to call in the specialists and get a CSRT qualified Surveyor to look at what remedial work needs to take place to any areas of damaged plaster. Spring is a great time to make sure your property maintenance is up to date so you can enjoy the warmer days of Summer, to come.